Please help us choose our 2015 Client of the Year by reading the stories below and voting on who you feel has the best success story. We are giving away over $1,300 in cash and prizes and need your help to determine a winner. All the nominee's below actually have already won. I have lost 18 lbs. I broke my fibula in March . After surgery placing a plate and 8 screws in my left ankle area I came back with a boot in just 30 days. My surgeon said he knows being active in the GYIS program helped my healing tremendously. He released me in 60 days (norm is at least 90 days) and no outside physical therapy. At 90 days out I was back in the program 100%.."
Jackie Brainerd is a CPA working as a manager of a large pediatric group. She has lived in Coppell for the past 12 years and joined GYIS a little over a year ago. Q: Where were you at in your life before the Get You In Shape? What did your life look like? I’ve always been active playing softball, golf, tennis and walking. I have done the SGK 3 Day 60 mile walk the past 10 years. 5 years ago I decided to sign up for an interval running class and have just kept running 3 times a week. I had the cardio covered but not the weight training, core work-out and the stretching techniques that are so important as we age. Q: Why did you decide to join Get You In Shape? I had known about the program for a while from neighbors and friends that have been active in the program. When I saw the advertisement in Sept. 2014 the timing was right. Plus I love exercising outside! Q: What was your first experience with or first impression of Get You In Shape? After meeting with Brad I thought “What have a got myself into?” What was I thinking? And then I attended my first session with Chaney. I was welcomed and introduced to other members. I feel like I have a “personal trainer” yet the comradery of a group setting. I was hooked and have been for over a year. Q: What are some of the tools from the Get You In Shape program you have used that has helped you? I was introduced to My Fitness Pal, tracking your calories and fitness could not be easier. The recipes, exercises & words of encouragement shared on the private FB page are wonderful. Being able to post accomplishments and getting words of encouragement back is awesome. However, the individual and team contests have been my favorite tools offered by the program. All ages, all sizes and genders make these challenges open to all. I have just enough of a competitive spirit to want to be successful. Q: What do you like most about the Get You In Shape Program? I love the personal trainers, the flexible schedule, the inclusiveness of all levels –how the program can be customized to your needs. Q: How has the Get You In Shape program helped change your life? So much for the better. I can’t imagine not doing boot camp and especially not with GYIS. I am such a social creature. I am not motivated to work-out on my own at all! Q: What is your proudest moment or result from the Get You in Shape program? In Jan & Feb of this year I participated in the GYIS Biggest Winner Team Contest. Wow! I saw this small transformation over the course of the contest in my physical, mental and emotional well-being. It turned out to be a big change for me especially not knowing what was just around the corner for me. Q: How has the Get You In Shape Program impacted other areas of your life? I have participated in the Susan G. Komen 3 Day 60 Mile Walk for the past 10 years. This year’s walk which was this past week was the best one from a physical standpoint for me. The Darks and I stopped at every pit stop and stretched. Others began doing what we were doing to help stay injury free. This is the very first year I had no blisters! Through GYIS I have learned the importance of hydrating and stretching. Q: What are the results that you have achieved from the Get You In Shape program and how has Get You In Shape played a role in your results? I have lost 18 lbs since May 2014. GYIS helped me lose another 7 lbs and 5 more inches. However, I broke my fibula in March 2015 which interrupted my fitness program. After surgery placing a plate and 8 screws in my left ankle area I came back with a boot in just 30 days. My surgeon said he knows being active in the GYIS program helped my healing tremendously. He released me in 60 days (norm is at least 90 days) and no outside physical therapy. At 90 days out I was back in the program 100%. I have started my weight loss journey again by using My Fitness Pal and a commitment to attend all available sessions. All my health numbers have gradually become better since last year. I am taking less medication to maintain those numbers and have a lot more energy. I needed it this past summer since my 9 yr old granddaughter spent the summer with me. I feel better about myself. Staying active with the help of GYIS keeps me mentally fit as well. I am truly blessed. NOTE : Please read through all the stories before entering your winning vote. I feel like I have attained my goals over these past 6 months and I know that Get You In Shape is the ONLY reason I have stuck with these goals. My last two pregnancies did not involve working out and I felt very different than I do today." 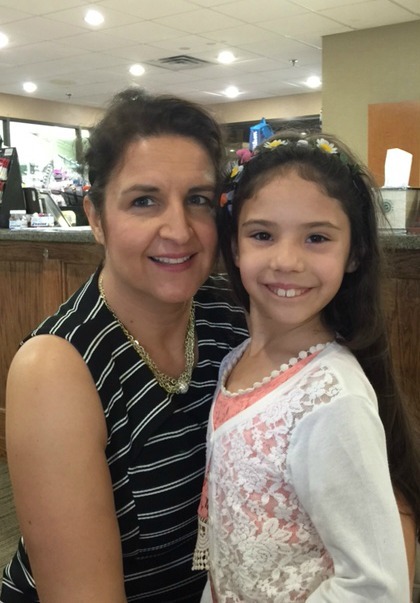 Jacqueline Tapella lives in Coppell and has been a client with GYIS since May of this year. Q: Where were you at in your life before the Get You In Shape? What did your life look like? Right before Get You In Shape, I was just doing my day to day thing…being a mom to two young children, working full time and supporting my husband while he worked on building a new business. I did not work out and I tried to consciously eat mostly healthy foods. In the past, I have been in boot camps or involved in other aerobic classes through the YMCA or the Aquatic center. I really enjoy working out and staying fit, it just wasn’t a part of my busy lifestyle at that moment before I joined, I had other priorities. I remember telling her that I plan to sign up and was excited to get started. The price was what held me back from signing up until I talked it over with my husband. It is a financial commitment and unfortunately, the timing was not great for us. As I mentioned, he was just starting his own company and we could not commit the monthly amount. I was so sad to call and tell GYIS that I would not be signing up but over the next year and a half, I would keep driving by Andy Brown wishing I was part of that group working out in the parking lot. I stayed on the email list and in May of this year, saw a promotion for the 28 Day Kick Start. I knew that I wanted in, signed up for the month, went to the initial meeting again, this time with a group of people at the Get You In Shape office and hoped that this time my husband and I could make the financial commitment work. He said that we both always try to help each other to do things for ourselves that keep us happy and healthy - Get You In Shape, I have learned over the past 6 months is my “THING” that keeps me happy, healthy, strong and motivated in my own life and for my family. Q: What was your first experience with or first impression of Get You In Shape? MY first impression was WOW, you really get your money’s worth in this program and WOW, they really care and want you to succeed. I love that attendance is taken, I love that we get measured every two weeks, I love that we have timed miles and get recognized for improvement. There are so many tools to help us succeed and reach our goals. I have not seen another program like this one and I am very happy to be a part. Q: What are some of the tools from the Get You In Shape program you have used that has helped you? I LOVE the “my fitness pal” app! I had been familiar with it in the past but did not use it consistently unless I was really focused on losing weight. 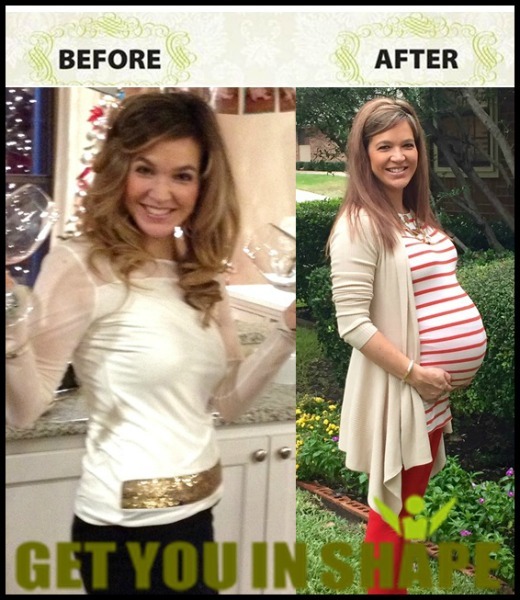 I used it for the first few months of my pregnancy to try to keep my weight gain under control. It is a great tool that I know will help me in the coming weeks as I get my weight back down after having the baby. Q: What do you like most about the Get You In Shape Program? I LOVE the people and sense of community. It’s what keeps me coming back and what kept me working out up until the last two weeks of my pregnancy. I just didn’t want to not see everyone each morning even though it was way before the crack of dawn! Everyone (trainers and clients) are so motivating and positive, it makes me want to work harder and makes me excited to feel a part of the Get You In Shaoe community. Q: How has the Get You In Shape program helped change your life? Get You In Shape has given me back my 3-4 hours a week of “me time.” It’s just enough to let me do something for myself so that I can put that focus and energy back into my family and my job. I feel healthy, strong, energized and confident. Q: What is your proudest moment or result from the Get You in Shape program? Honestly my proudest moment so far has been being nominated for this award. I haven’t had the typical results thus far, given my current pregnant status but I have been motivated by other clients and complimented numerous times by clients and the trainers these past few months on my dedication to working out. Again – the PEOPLE in this program are amazing, I can’t say it enough. I am honored that I am one among others that has shown dedication to this program and I look forward to reaching new goals in this coming year. Q: How has the Get You In Shape Program impacted other areas of your life? I mentioned it earlier about how Get You In Shape changed my life – the program has definitely helped with my energy levels and confidence. I am happier, stronger and love how I feel after I have been to an hour of boot camp. It helps shape my day – whether it’s with my family or at my workplace. I don’t consider myself a stressful person, I don’t let stress bother me too much but if I am ever feeling like I need a breather or to take a few breathes and relax from stress – Get You In Shape sessions can always do the trick! Q: What are the results that you have achieved from the Get You In Shape program and how has Get You In Shape played a role in your results? My goals for the 6 months that I have been working out with Get You In Shape were to work out a few days a week during my pregnancy, gain a healthy amount of weight, feel confident over the summer in a swimsuit while pregnant and stay in shape so that after the pregnancy, I would be able to get back to my average weight easier. I have gained a little more than I expected but I feel great this time and I feel like the weight stayed within my belly area as opposed to going to all areas of my body. I have good muscle definition and I feel stronger even though I have gained weight. I feel like I have attained my goals over these past 6 months and I know that GYIS is the ONLY reason I have stuck with these goals. My last two pregnancies did not involve working out and I felt very different than I do today. All I have to say is how hasn’t it changed my life??? Everything has changed. From losing close to 30 pounds, to the size I wear, to the motivation I have for working out, to the “swagger” I have at work and in my family life." 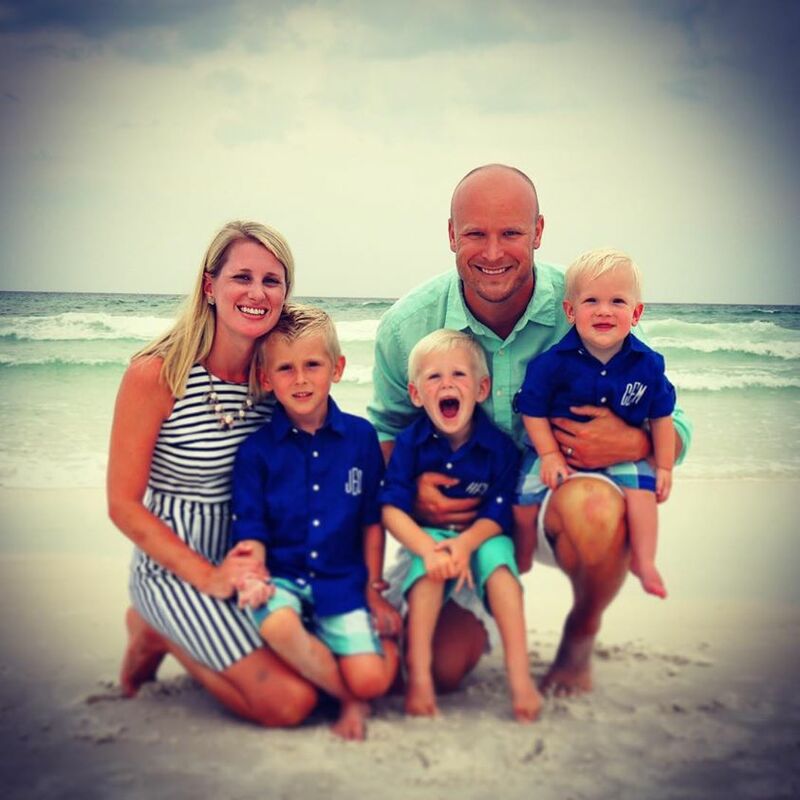 Laura Hazlewood is Director of Sales for AT&T and lives in Coppell, TX. She joined GYIS March 1st 2015. Q: What are some of the tools from the Get You In Shape program you have used that has helped you? First and foremost, the people. The trainers are amazing! Julie, Chaney, Lotta, Kathy, Meg . . . . you have changed my life!!! My Fitness Pal is great, definitely helps to see what you are doing, chart it and visually be accountable for your diet and exercise. I would say the other clients are a tool; they motivate, help hold you accountable, guide you and keep you on track. Q: What do you like most about the Get You In Shape Program? Without a doubt, the people!! Trainers and clients make all the difference in the world. Without the people aspect, it’s just like joining a gym or “hoping” for results. The people make it all possible!! I also like the variety in the workouts, the thought and effort put into designing the workouts to change the intensity, areas we work on and it keeps it fun and interesting. Q: How has the Get You In Shape program helped change your life? All I have to say is how hasn’t it changed my life??? Everything has changed. From the size I wear, to the motivation I have for working out, to the “swagger” I have at work and in my family life. My kids look at me with a new sense of pride, I feel awesome when I’m up in front of people (coaching cheer, presentations at work etc). I have a huge sense of accomplishment, I set a goal and I DID it!!!!!!! Amazing pride, self-esteem and appreciation comes with it and I am grateful for the opportunity I have had and continue to have with this great group! Q: What is your proudest moment or result from the Get You in Shape program? Over the summer I was in a dressing room at Ann Taylor with my daughter and I was trying on a pair of shorts. I put on a size 8 and they were too big!!! TOO BIG!!!! I actually cried. As tears were coming down my cheeks, my daughter said “what’s wrong Mom?” and I said “I am just so proud of myself, I have worked really hard for this and I DID it!” Each milestone carries with it a sense of accomplishment and whether it’s running the mile a minute faster than last time or being able to wear the next smaller size, it all matters and it all gets me closer to my goal. It’s tangible evidence that through dedication and hard work, you can do anything!!!!! Q: How has the Get You In Shape Program impacted other areas of your life? It’s greatly impacted both my personal life as well as my work life. It’s given me the ability to coach cheer with great pride and get out of my comfort zone by putting me in situations that made me really uncomfortable in the past. The same with my work life. I have a new pride and self-esteem that allows me to volunteer for projects, presentations and events that put me out in front of a lot of people and I do so willingly and with confidence. It’s incredibly important to do this and teach my kids that you can do anything you put your mind to. Set a goal and see it through. Do not quit when it gets hard. Always be up for the challenge and YOU make it happen!!! Q: What are the results that you have achieved from the Get You In Shape program and how has Get You In Shape played a role in your results? I’ve lost nearly 30 pounds (28 and some change!!!! ), went from a size 14 pants to an 8, and I can easily buy a Medium anything and it FITS!!!!! I am confident, HAPPY, have a huge sense of pride and accomplishment that positively impacts and shapes my daily life on the business side and personal side. My skin looks better, I look healthy, I am actually eating a lot less so it’s saved me money and I feel great due to the healthier food and supplements from Advocare. So many life changing results that I will work hard to continue! Overall, I just feel blessed. Blessed and thankful to be a part of this group, to have been accepted so freely by everyone involved and lifted up each and every day by the people and mission. I am grateful for the opportunity to change, learn and transform (both on the inside and outside). Although weight loss was my primary objective, I have accomplished so much more. It’s a new chapter and I am so excited to see what 2016 and a new full year in GYIS has in store. I am willing to continue to put in the hard work and dedication it will take in order to reach even more goals I will set forward for myself. Can’t wait for the journey to continue!!!!! Thank you!!!! Although I am getting older, I feel younger and stronger than I did in my 30’s." For over 29 years, I have worked in the skin care & makeup business. I built a multi-million dollar sales business. My career goal is to help people look their best on the outside - so they can feel good on the inside. I get to work with 1000’s of people in my sales organization. I am originally from the New Orleans area. I have lived in north Texas for 17 years -- with the last 5 in Coppell. As you can surely tell from what I do and where I was raised, my life is very colorful. However, my health and fitness life was Black & White. The same 4 walls, the same routine every week. I worked out with a personal trainer one-on-one & hit the treadmill for cardio in a gym. I had no friends to share the journey with or to inspire me. I was spinning round & round in a whirlwind and getting nowhere. I wondered if this is all there is. Is this just the way it is going to go…all the while getting older and the years were beginning to show. I encountered the Wicked Witches… fear, anxiety, self-doubt ... which were holding me back from achieving the health & fitness goals that I had in mind for myself. NO! I dreamed of more. 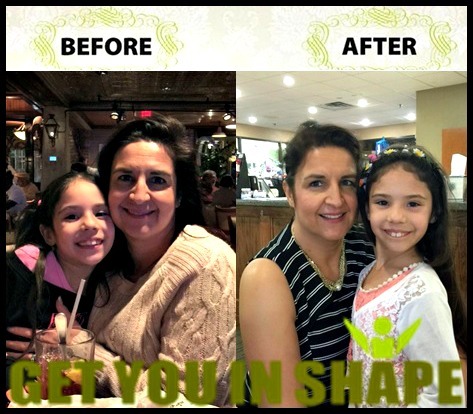 I decided I had to be open to new things and that is how I made the decision to follow a new road … the Yellow Brick Road to health and wellness with the GYIS program. I contacted the Wizard (Brad Linder) at the beginning of my journey down the Get You In Shape yellow brick road to health. He piqued my curiosity and grabbed my interest. I reminded myself that I had to be open to new ideas in my journey. 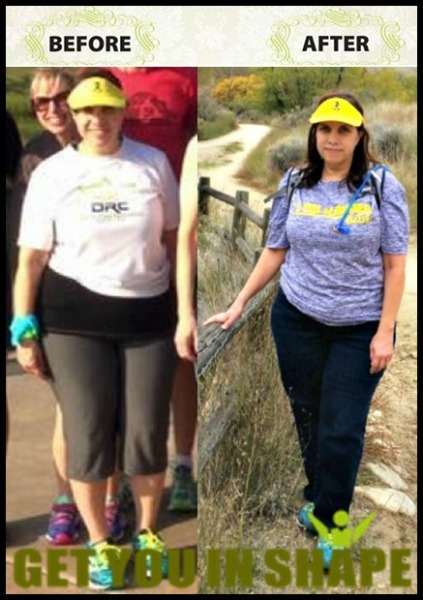 So I joined Get You In Shape … and began a new journey down the Yellow Brick Road to health. I first encountered a Lion along my path who helped me find the Courage to shut out the Wicked Witches (fear, anxiety, self-doubt) who tried to block me from staying on the Get You In Shape Yellow Brick Road. He gave me the Courage to push harder past the fears and past the anxiety. I soon found myself in a new world filled with many colorful opportunities. Luckily, when I showed up the first day, there were many other Munchkins (boot campers) to take the journey to health with me. They all remembered when they were the frightened "newbie" on the Get You In Shape YBR. All the Munchkins were warm & quick to welcome everyone! There I met the Good Witches (Julie, Chaney, Kathy, Lotta & Meg … oh my!) who were encouraging, cheering you on and helping guide you down the GYIS Yellow Brick Road to Health. I found the Courage to run races, learned to cycle and workout in the rain, cold or heat - meeting whatever Mother Nature brought on. I quickly realized that I would not die or Melt if I got wet AND as a result, I now have the Courage to face other “impossible” challenges in my life. Obstacles that would have previously shut me down. As I continued my journey down this wonderful new road, I met the Tin Man who showed me the importance of a Heart…a healthy Heart. I told the Wizard (Brad) that I was not a runner, but with the work in Boot Camp, my timed mile kept getting faster and I found my Heart was getting healthier. I decided to open another door that Get You In Shape offers, I opened the door of Cardio Club on my journey to a healthy Heart. What a new door it opened to my health! My confidence was growing and the Good Witches & Munchkins were adding to my confidence with cheering and encouragement. 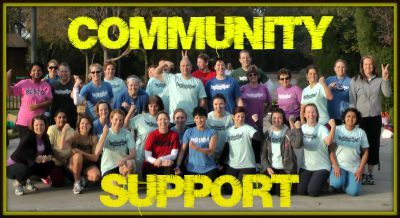 This support allowed me to run in the Pink Soles 5K where I placed 2nd in my age group. Along the road I also utilized all the workout challenges offered by the Wizard. He had the road map to health and I was now following it. The Good Witches kept the encouraging, teaching environment going. When I lost my drive or was tired, they made sure to lend an encouraging word to help. I moved further down the road and to my surprise, I encountered the Scarecrow searching for a brain … and I got one too. My eyes were opened even further to new things. I challenged myself to do a lot of ‘firsts’, my mental state became happier, I sleep deeper, I eat better, I am consistent & committed to my health like never before. I found that it is never too late to discover new things or remind yourself of past things you used to do. Why hadn't I thought of that sooner … I guess I needed a healthy Brain. I discovered a new activity that I enjoy…cycling. With help from other Munchkins and the Good Witches, I overcame the anxiety of falling, transitioning from running to cycling and back to running, and tackled my 1st duathlon. I finished 5th in my age group! I would have never done anything like this if I were not on the Get You In Shape Yellow Brick Road to health. My Brain was learning and growing, and my body and Heart was too. I learned on the road that action is first and then the emotion of wanting to be there followed, and then came the motivation to do it again. I learned there is not an end to the road to health. It continues as long as you stay on it. But you need Munchkins, Good Witches, and Wizards to keep you going and to stay on the brightly-colored, Yellow Brick Road to health … and to keep the Wicked Witches at bay. · I am down 10 pounds and 13 inches since starting my journey a year ago. My energy level is very consistent. My sleeping is consistent. My overall health is amazing. · I assured the Wizard (Brad) “I am not a runner.” Yet, the combination of Cardio Club and Boot Camp, and the encouragement of the Good Witch trainers has helped me learn to enjoy running or at least fast walking ;). · I am no longer afraid of what the weather will be like or how my day will be as a result of the weather. I am much more flexible (in my new healthy Brain)!! · Although I am getting older, I feel younger and stronger than I did in my 30’s. · I would like to add that in January I set a personal goal to be consistent in ALL areas of priority in my life. Moving my body every day is a priority for me. · SO… I show up on the GYIS Yellow Brick Road even when I don’t “feel” like it (which can be often). Showing up is half the battle. When I leave boot camp in the morning, I always feel better than when I climbed out of bed. It has definitely paid off!! I don't want to go back to where I came from …that same Black & White world with the round and round whirlwind getting me absolutely nowhere. When I met with the Wizard, I told him that I want to continue enjoying the colorful life which is so much better than the old road that I was on. He told me I had to close my eyes and click my ruby red tennis shoes together & repeat ...There is no place like health at Get You In Shape … There is no place like health … There is no place like health! I suffered a brain injury and after 2 weeks in the hospital doctors told me it would be about 6 months to a year or longer before I would be back to my regular activities. 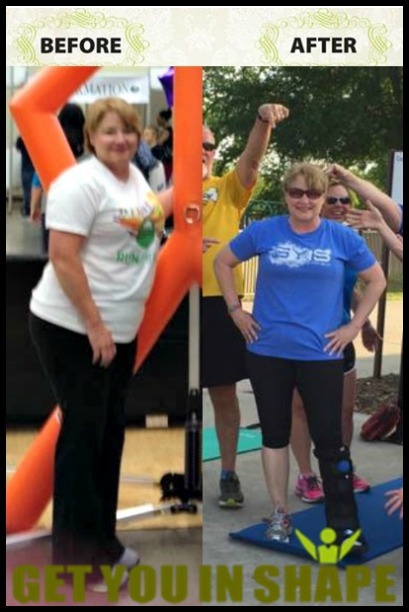 I returned to boot camp two months to the day of my accident mainly because of the shape I was in before getting injured." Michele Solorio is Co-Owner and operator of a custom home framing company. She lives in Irving and has been with GYIS for almost 2 1/2 yrs. Q: Where were you at in your life before the Get You In Shape? What did your life look like? I had a hectic life with three small children. I was occasionally working out with a personal trainer. I was not working at our office at that time but I was busy with house and kids. I was in a funk. My father had recently died, I was sleep deprived and I was not happy with my body. Q: Why did you decide to join Get You In Shape? 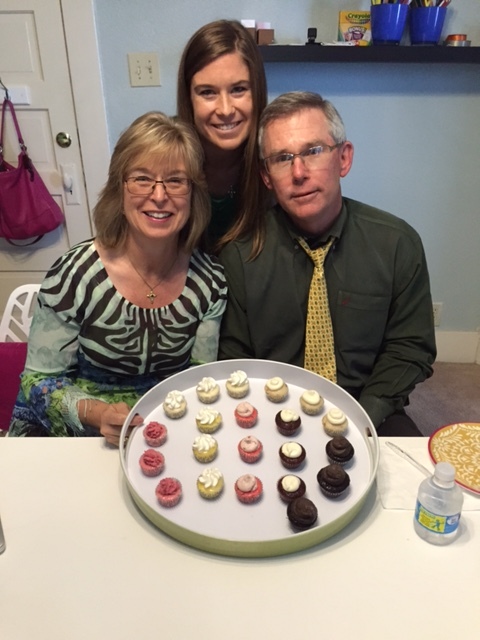 I wanted to do something for myself to help me reach my goal weight and I wanted the energy to keep up with my kids. Q: What was your first experience with or first impression of Get You In Shape? My first impression of get you in shape was how welcoming and supportive everyone was. Q: What are some of the tools from the Get You In Shape program you have used that has helped you? Tools I have learned are that exercise alone will not get you to your goal. You have to change the way you think about eating. My fitness pal is a good tool to keep track of your eating and help count calories and fat intake. Run keeper and Fitbit are other tools I now use to keep track of my miles and steps per day. GYIS Facebook community is really helpful. The challenges we participate in, recipes, class schedules and friends connecting with one another are a nice addition to the classes themselves. Cardio club is great for off day cardio. The monthly challenges that are posted on Fb help give a little extra motivation and accountability. Q: What do you like most about the Get You In Shape Program? They are numerous. ...I like the multiple class times, the trainers are so helpful and friendly, the other clients are so enjoyable to be around, I like the consistency (rain or shine, they’re always there to challenge us). I never would have thought that one day I would look forward to working out, but I do!! Q: How has the Get You In Shape program helped change your life Wow, it has uplifted my spirit, my attitude and my physical strength. But I do have to say that May 1st of this year I suffered a brain injury and after 2 weeks in the hospital doctors told me it would be about 6 months to a year or longer before I would be back to my regular activities. I returned to boot camp two months to the day of my accident. Although I wasn't a 100% and I had to start slow... I was doing it. Q: What is your proudest moment or result from the Get You in Shape program? My proudest moment was when I got my sub 10 min mile band because that was on my bucket list for a long time. I now have a new goal of sub 9 min mile!! Also, getting my 100 mile t-shirt. I got most of those miles in rehab on the treadmill. Q: How has the Get You In Shape Program impacted other areas of your life? The impact of GYIS in my life is big. I mean going back to the injury I sustained earlier this year I owe my advanced recovery to GYIS. I had several doctors ask me what type of physical activities did I participate in and I would say GYIS boot camp. They told me that I was lucky that I was strong enough 1) to hang on to my car as long as I did before falling; 2) I could lift myself up to the wheel chair, then walker, then eventually cane without assistance; 3) I had the mindset to accept that this recovery was going to be hard and long and frustrating. I spent the summer at the center for Neuro skills with physical, occupational and speech therapy. Everyone there said I was improving so quickly... About 50% faster than they had ever seen anyone with my injuries do before. They said it was due to me being in such good physical shape. I was strong and had better stamina than most recovering. Granted I felt like I had no endurance or strength but when I looked at the patients around me I could do quite a bit more. I was grateful that I was in this program. I have made such good friends here. Everyone was so kind to me during my recovery, sending me cards, gifts, visiting me in the hospital. Just an overwhelming outpour of support. I am blessed to be here, talking to you right now and I am blessed to be involved in such a great community. Anyone who works out in the evening knows my children and I am grateful to everyone's patience and acceptance of them being around the workout area. Q: What are the results that you have achieved from the Get You In Shape program and how has Get You In Shape played a role in your results? I have changed my mindset about exercise. I know I have to move and keep going. Never give up and I will get results. I cannot be lax about food or commitment to working out and expect a change. I have always wanted to like running, although I'm not all the way there yet, I don't mind it as much. I am back to cardio club. I came back this month which is 2 months ahead of when I had expected to return. I figured I wouldn't know if I could do it unless I tried... So I did. I have ran 2- 5ks which I would have never dreamed of doing before I joined and I have another one scheduled for next month. I'm working my way up to a 10k!! I have lost 10lbs since my return back in July. I have lost 2 dress sizes this year and I have participated and completed 4 challenges and still working on running 350 miles this year (biggest loser, 100 a day challenge, ab challenge and booty challenge). These are things I would not have thought I would do a year ago. I just have a new outlook on life. When you are blessed with a second chance you realize you cannot take things or opportunities for granted. We are not promised tomorrow so I must take advantage of today and I choose to keep on my path of self-improvement and I thank GYIS for being there for me and supporting me on this journey. This isn’t my first time to work out or to lose weight, but I’ve never been this consistent about being part of an exercise program. I want to be one of those people like I saw during my first week who celebrates years of working out and I’m convinced that’s going to happen." Nancy Anderson is a freelance technical writer living in Coppell. I joined Get You In Shape at the end of April, 2015. Q: Where were you at in your life before the Get You In Shape? What did your life look like? The combination of a stressful job, knee surgery and a knee injury (on my “good” knee) resulted in an extra 30 pounds--but that’s just part of the story. I had acid reflux, was recently diagnosed with high cholesterol and felt I was missing out on life. I felt tired and slow all the time. And I felt very old! My athletic husband’s life was such a contrast to mine, but I thought I would never be able to run again because of my knees. Q: Why did you decide to join Get You In Shape? I had just gotten the news from the doctor about my high cholesterol and was motivated to get off my bum. After I was laid off from my full-time job, I realized that this was the perfect opportunity to get back into exercising. I decided to try Get You In Shape because it had such a wide variety of times that it met. Also, I liked the idea of exercising in the outdoors. Q: What was your first experience with or first impression of Get You In Shape? Honestly, I was shocked at how out-of-shape I was. I was breaking into a sweat during the warm-ups! I remember thinking that I had a long uphill climb to just get through the workouts. But immediately I loved how fun and positive the trainers are; I think Kathy Chasteen managed to make me laugh during every workout. And Chaney was so sweet and encouraging. Also, I liked the camaraderie within the group, the wide variety of exercises and being outside. Q: What are some of the tools from the Get You In Shape program you have used that has helped you? I did the Advocare 24-Day Challenge as a jumpstart and that was great for seeing immediate results. Since that time, I have pretty consistently stayed with protein shakes for breakfast. Using My Fitness Pal has perhaps been the best tool to keep me accountable. I fell off the wagon once when it came to using it, but a friend on there encouraged me to get back on track. Since then, I’ve added more friends through the tool for that very purpose: to help keep me on track. Q: How has the Get You In Shape program helped change your life? This program has awakened me and pulled me off the sidelines, back into the game. I find myself looking for opportunities to move more (like taking stairs instead of escalators). Also, I feel a sense of purpose and accomplishment. I’ve seen the biggest changes since I started doing Cardio Club; now I’m thinking about finding the next 5K I can run. I want to run a race in each of the 50 states. Q: What is your proudest moment or result from the Get You in Shape program? My proudest moment was when I somehow managed to knock a minute off my timed mile. Or maybe it was when I squeezed out three legitimate burpees before I got too tired and dizzy to do more. I know I’m taking baby steps, but my goal from the beginning was to KEEP COMING TO CLASS—not to be the queen of burpees (though wouldn’t that be a fun title to hold). I know that my consistency and commitment will give me great results over time. Q: How has the Get You In Shape Program impacted other areas of your life? My husband, Steve, saw how much I enjoyed the classes and that I was getting good results so, with some encouragement from me, he started attended in July. It’s been so great to have this activity that we share. We already had a good marriage, but I believe this program has made our marriage even better! Q: What are the results that you have achieved from the Get You In Shape program and how has Get You In Shape played a role in your results? As of a month ago, I had lost 8 pounds and 16 inches. I have lost at least two more pounds since then. I’ve dropped a jean size and a shirt size. I’m hoping my cholesterol is better, but I haven’t retested. I know this is because of the combination of working out (especially since adding cardio club) and tracking what I eat. And even in smaller ways, like motivation through Facebook, the newsletter and the extra fun things we do, all of these things add up to keep me interested. This isn’t my first time to work out or to lose weight, but I’ve never been this consistent about being part of an exercise program. And I know that’s because, in a sweaty, difficult way, I’m having fun and I’m being encouraged. I want to be one of those people like I saw during my first week who celebrates years of working out and I’m convinced that’s going to happen. I have lot 39.75 pounds and 180.5 inches. And It is staying off! I felt so cared for and supported and I received so much assistance in achieving my goal to look better for the 2 weddings. It’s been quite a journey that continues to bless me and my family." Sharon Kirby is a Tax Accountant at Boy Scouts of America National Service Center. 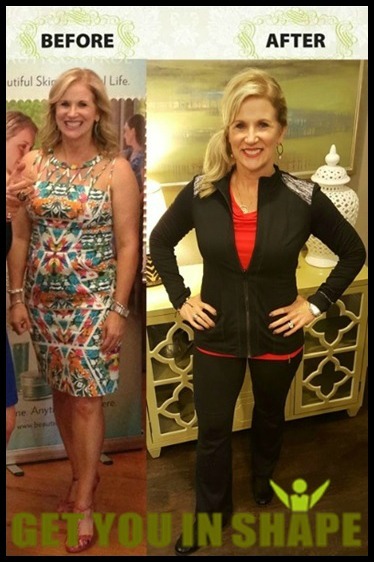 She lives in Coppell and has been regularly attending Get You In Shape since Jan. 2015. Q: Where were you at in your life before the Get You In Shape? What did your life look like? I was definitely living a sedentary life prior to GYIS. I watched a lot of TV, stayed up late and had trouble getting up for work each morning. I thought I knew what to do but I sure wasn’t doing it. Q: Why did you decide to join Get You In Shape? In the fall of 2014 my son asked his girlfriend to marry him and then in December, my daughter’s boyfriend proposed to her. Both weddings were scheduled for the summer of 2015. I did not want to be remembered forever in wedding photos at the size I was currently wearing. With June and August wedding dates set, I knew I needed help. GYIS had helped me achieve results before so I decided to try YET again. I was a little worried, though, that I wouldn’t be able to achieve the results I had in a previous year (2012). Q: What was your first experience with or first impression of Get You In Shape? I love that the team at GYIS welcomed me back with no lecture. J I felt accepted, not ashamed for where I had ‘fallen’. It was also a warm welcome because many of the trainers were the same ones who had helped me a few years earlier. Q: What are some of the tools from the Get You In Shape program you have used that has helped you? I had never tried the Advocare cleanse or 24 Day Challenges. I had heard people talking about them though. Using the Total Transformation Contest as a kick starter was very helpful. I also logged my food into MyFitnessPal and linked a Fitbit zip to count steps and record exercise into MyFitnessPal. It was eye opening to see what the calorie and nutrient make up was in some of the meals that I had previously eaten thinking they were ‘healthy’. Q: What do you like most about the Get You In Shape Program? Definitely the people! Both the trainers and the clients make it a positive and welcoming environment to be in. The variety of exercises and work out sets is also great. 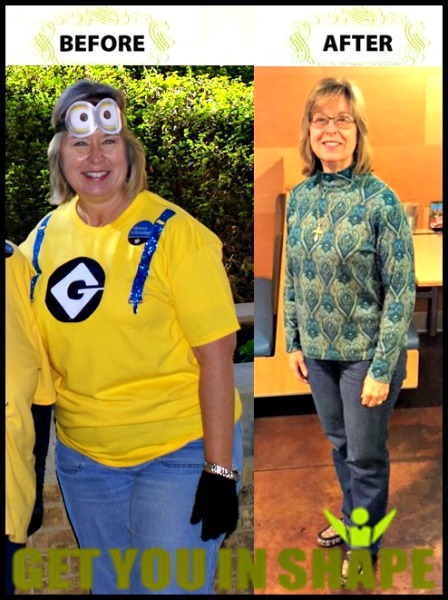 Q: How has the Get You In Shape program helped change your life? I never thought I would be getting up at 5:30 a.m. to exercise 5 to 6 days out of the week or to just exercise 5 to 6 days out of every week since January. This consistency has been a new thing for me. With the help of a little Spark I have drastically reduced my coffee consumption and completely cut out creamers (except occasionally I have a little flavored creamer). These are BIG changes for me!! I am more hopeful about my health and my future years here on Earth. It has totally changed my life’s course from one of gaining weight every month to losing or maintaining my weight. Q: What is your proudest moment or result from the Get You in Shape program? My regular attendance is one of my proudest moments. The weddings may have ‘scared me’ into coming but it is the great encouraging people that make me want to keep up the routine. I am also excited to be 2 seconds away from breaking the 8 minute mile mark. Q: How has the Get You In Shape Program impacted other areas of your life? It is much more fun to look for new clothes in sizes that are half what my starting size was! I am more confident to try things than I was before and much more optimistic about the future. Q: What are the results that you have achieved from the Get You In Shape program and how has Get You In Shape played a role in your results? I have lost 39.75 pounds and 180.5 inches. And it is staying off!!! I also cut 2 minutes and 12 seconds off of my mile time. I can run a 5k in just under 30 minutes now, which I had not been able to do before. I really didn’t want to go out for client of the year but I did not want to miss out on the opportunity to publicly thank Brad, Cynthia, Julie, Chaney, Meg, Kathy, Lotta and all of the fun clients that I have been encouraged by all throughout this year. I felt so cared for and supported and I received so much assistance in achieving my goal to look better for the 2 weddings. It’s been quite a journey that continues to bless me and my family. 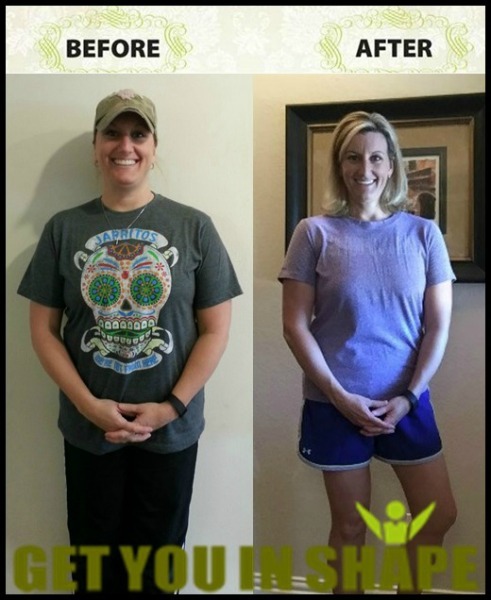 I've lost over 30 lbs from my heaviest and removed inches where I needed to while gaining inches where desired… increased lean muscle mass and reduced body fat." Zach Edwards is an Architect and lives in Coppell. 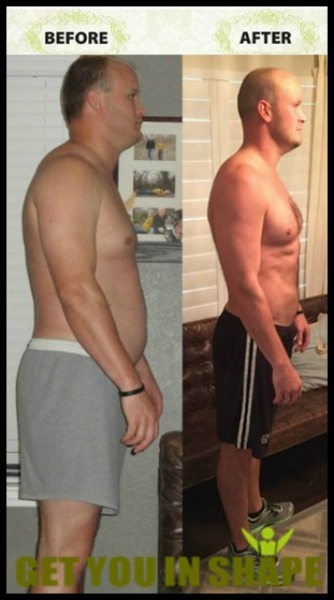 He has been a Get You In Shape client off & on for past 5 years (since my 1st son was born) but has been fully committed since February of 2015. Q: Where were you at in your life before the Get You In Shape? What did your life look like? I could literally feel myself getting unhealthy. I wasn’t happy with how I was feeling, both physically & emotionally, and I wasn’t happy with how I looked. I work in a stressful profession and the role I fill is a highly demanding one. My body was not responding to this stress well and I knew I needed a change. I was overweight, had high blood pressure, was tired often, but not sleeping well. I was becoming a mess and needed a change. Q: Why did you decide to join Get You In Shape? My wife did it first and gave great reviews. Get You In Shape offered a promotional special, so I decided to try it the first time 5 years ago. This recent time around, when I restarted, I knew what I was getting into and knew Get You In Shape was the right fit for what I needed…. Consistency, fun and tough workouts, variety and results! Q: What are some of the tools from the Get You In Shape program you have used that has helped you? The 24 day challenge and Advocare have been instrumental in meeting my goals. Measurements and tracking have kept me honest and are good check-ins. Food journals have helped me surpass plateaus in my progress. Q: What do you like most about the Get You In Shape Program? It's never the same workout twice, but you can always expect consistency and dedication from the trainers to get the most out of you. Even when you don't feel like working out, getting to class and seeing everyone gets you motivated and you're always glad you made it when you're finished. 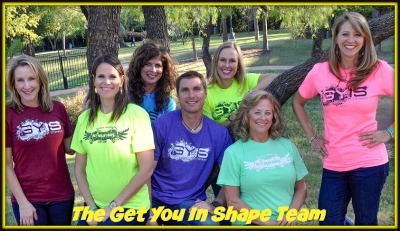 Q: How has the Get You In Shape program helped change your life? Leading a healthier and happier life. I'm lead a more balanced life and enjoy feeling great again. Q: What is your proudest moment or result from the Get You in Shape program? By far, it was running a sub 6 min mile (5:41) and breaking my PR on a 5k (23:16). It's motivated me to join in with close friends from high school to run a marathon in 2016. This was a pact we made to each other over 20 years ago, but never fulfilled when we turned 18. I've now got the energy and motivation to run on my off Bootcamp days and I even take my training stuff with me on business trips and vacations… That never happened before. Q: What are the results that you have achieved from the Get You In Shape program and how has Get You In Shape played a role in your results? Blood pressure is the biggest improvement. I went from stage 1 hypertension down to well within the perfect range without the use of meds. I've lost over 30 lbs from my heaviest and removed inches where I needed to while gaining inches where desired… increased lean muscle mass and reduced body fat. Get You In Shape gave me the program, nutritional and supplemental guidance, and motivation to reach these results. Thank you! NOTE : In order to make sure that everyone just votes once, fill out the information below. Don't worry, we hate spam too. We never rent, sell or give out your information. As an added bonus for voting, we will add you to our weekly tips email but you can opt out at any time.